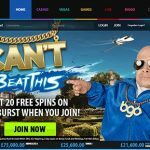 BGO Casino offers a variety of online virtual games and live casino tables paired with generous bonuses targeted for real-money players. 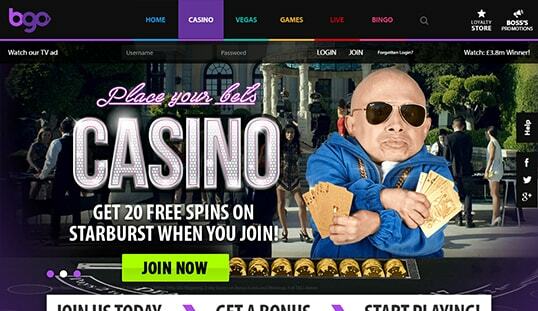 BGO Casino is a rather interesting casino, mostly because of its mascot. 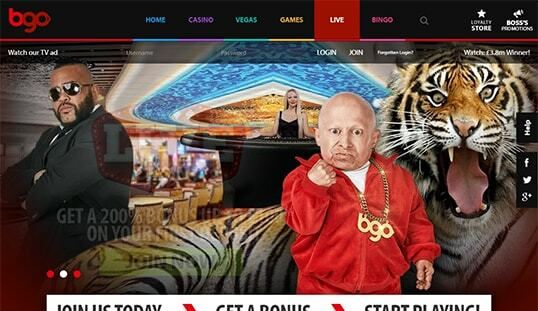 Best known from Austin Powers’ as Mini-me, Verne Troyer acts as “The Boss” behind BGO. It may not exactly be big star appeal, but it is enough to get people playing. The site even managed to snag Paris Hilton for a cameo. The game does offer more than celebrity endorsements, though. Based out of the UK and with a license from the Alderney Gambling Control Commission and UK Gambling Commission, BGO Casino began to operate in 2012. It uses the technologies provided by several game content developers, including its own BGO Studios. Games from NetEnt, Microgaming, NextGen Gamingm and Blue Gem Gaming, among others, are on board. Using these software and game content, it manages to deliver a solid casino and bingo experience. BGO Casino, however, cannot be accessed from many countries due to licensing restrictions. 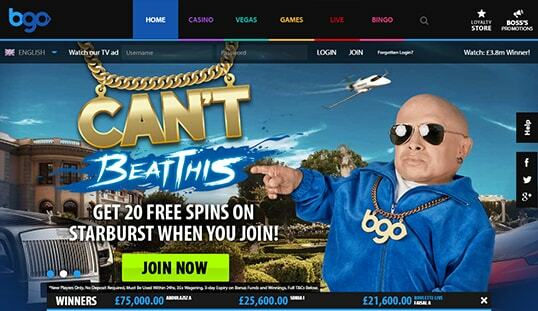 BGO Casino has several games available. Divided into several sections, the games are intended for players from different locations. There is the base game section and the Vegas section which has the slot and card games. There is also a live section for live dealer games. Finally, there is the bingo section for those who love the game. Unfortunately, the site does not accept Bitcoin, so all of the games here would require real-money deposits. It would be better for BGO to be a Bitcoin casino, though. The variety of the games, however, should be reason enough for players to give this casino a shot and explore their chances of winning. 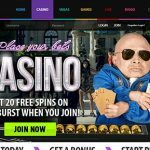 This online casino looks great. The graphics are clear and the site design makes every part noticeable. The best aspect of it all is that despite all of the graphics, the site manages to load quickly. There’s no long wait for games or pages to load. This means players would be ready to play as quickly as possible. There’s also no need to download a client just to play the games. All you need is an up-to-date web browser to begin betting. In fact, you can even play the games on your smartphone or tablet. BGO Casino uses fiat currency for all of its transactions, so it means that the account requirements are very thorough. The site will ask for your real name, contact number, and birthdate. They may even ask for verifying documents to comply with the KYC and AML regulations. Withdrawals and deposits are done through the usual methods of credit cards and other conventional payment services. The site accepts most modern currencies so it should be okay to use them. Your only problem will be the long delays when making withdrawals. They can take several days, but this is already expected from a real-money online casino. The main bonus of the site is the bonus to the first four deposits a player makes. Starting with a 200% bonus on the first one and 100% bonus on the next three, players can get up to £1,500 in bonuses. Additionally, players get 20 free spins for the Starburst slot when they sign up. This should be enough to keep players playing for a long time. BGO Casino has a contact form for its main way to contact the admin for help. There is also an e-mail address. What’s missing, though, is a live chat, which proves to be useful for players who want prompt responses.